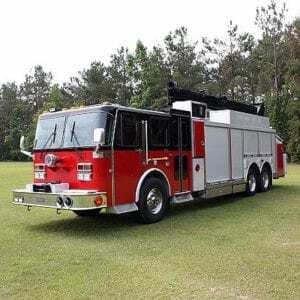 1993 KME Renegade Pumper four door enclosed cab with air conditioning has seating for 8 with 7 SCBA seats is powered by Detroit Diesel 365HP diesel engine and Allison Automatic Transmission. 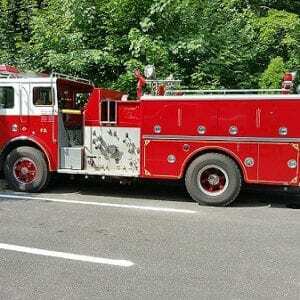 Hale 1750 pump with 1250 gallon water tank and 30 gallon foam tank the truck is equipped with four crosslays and a deck gun. The truck is equipped with a 6Kw diesel generator. Full warning light compliment, Federal Q2B and electronic siren. The truck has 11,580 miles and 2457 engine hours. The truck is available for immediate delivery. For more details on this unit or to schedule an inspection contact our office today at 1-877-346-1373. Price to sell at $25,000.00.